Jim Ardis, one of two Operations Coordinators/Van Drivers with the Gathering has been known to use the phrase: “once the van starts, it doesn’t stop.” The morning of February 12th, I finally figured out what Jim meant: Dennis Stokhaug, the other Operations Coordinator/Van Driver allowed me to join him on his daily runs. 5:00 a.m. Dennis picks up bags of surplus buns, apple pies and more from a McDonald’s Restaurant. 6:00 a.m. I join Dennis and we go to two more McDonalds. At each stop, Dennis pops in and collects whatever surplus the store has available. We are never stopped long—Dennis knows right where to go and has a solid routine. 7:15 a.m. The next stop? Restaurant Depot. I am amazed at the large warehouse filled with any supply needed for food service. We pick up hair nets, gloves, aprons, sugar packets, cups and more. 8:00 a.m. The van is getting a little crowded so we drop off some of the treasure we have collected at The Gathering’s downtown meal site at St. James Episcopal Church. We wave “hello” to the volunteers gearing up to serve breakfast and then, once again, are on our way. 9:00 a.m. Next Stop? Starbucks! If you've ever been to one of the Gathering’s meal sites, you will remember the beautifully arranged trays of baked goods that are always set out for our guests. Between Pick ‘n’ Save, Starbucks and McDonalds, we collect some pretty delicious treats. Dennis and I stop at two different Starbucks where bakery bins are once again waiting for us. 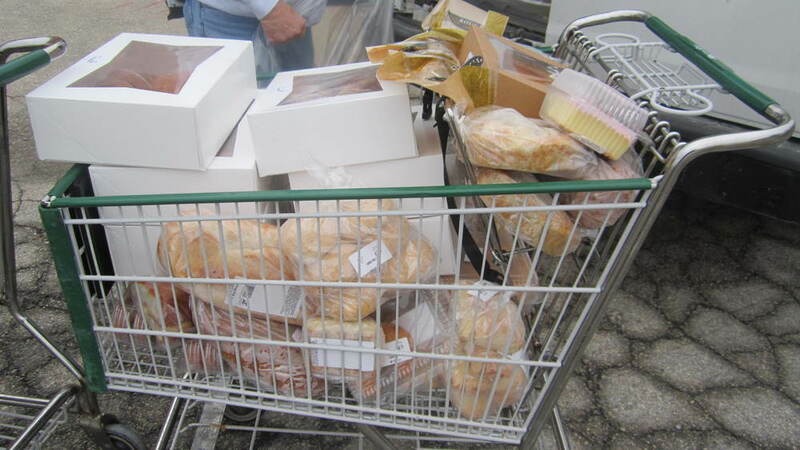 9:30 a.m. Before heading anywhere else, we drop off our mountain of bakery at the St. James site. 11:00 a.m. We have to make sure that each of our sites get enough vegetables and bread for the next few days, so we unload at Our Next Generation (near north side Saturday lunch) Christian Faith Fellowship East (near south side weekday dinners and Saturday lunch), and once again at the St. James location (weekday breakfast with Saturday lunch). 11:30 a.m. I part ways with Dennis, even though he still has another couple hours of pickups. 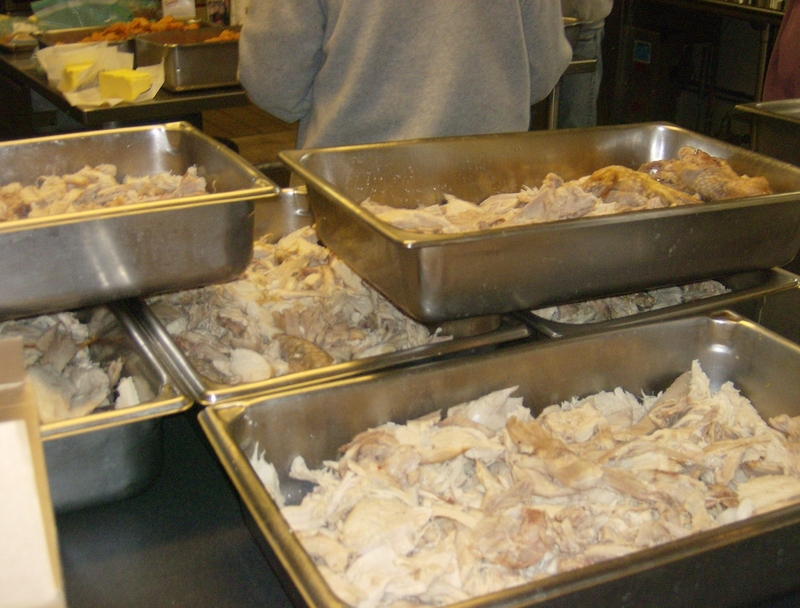 The Gathering’s meals would not be possible without the work of Jim and Dennis. 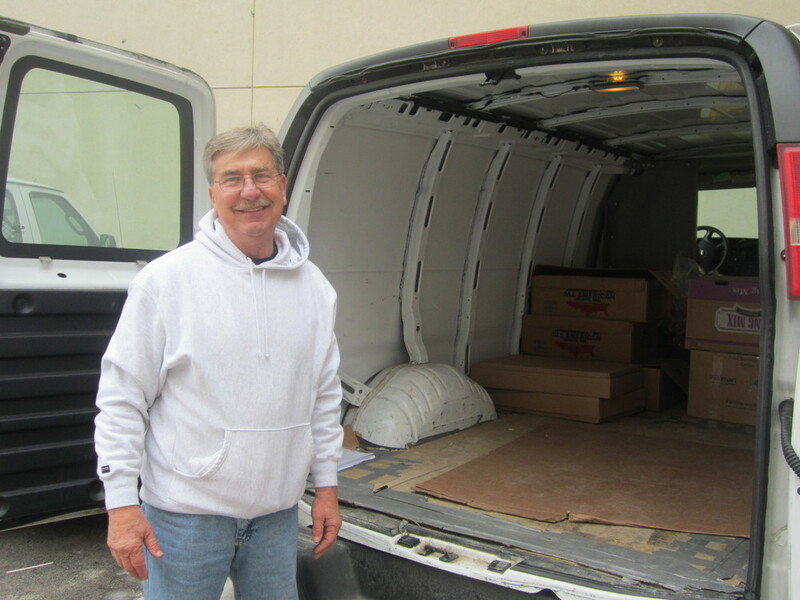 In 2012 they collected an average of 1,100 pounds of donated food per week. Food that may have otherwise been thrown out. I was impressed with the quantity of food collected and the generosity of Milwaukee area donors. Above all, however, I was amazed at how much time and energy goes into morning pickups. I developed a new found respect for Jim and Dennis for making these rounds every weekday morning.